A crowd of art enthusiasts gathered at the Janice Mason Art Museum in Cadiz, to celebrate Ray Kleinhelter’s new exhibit. 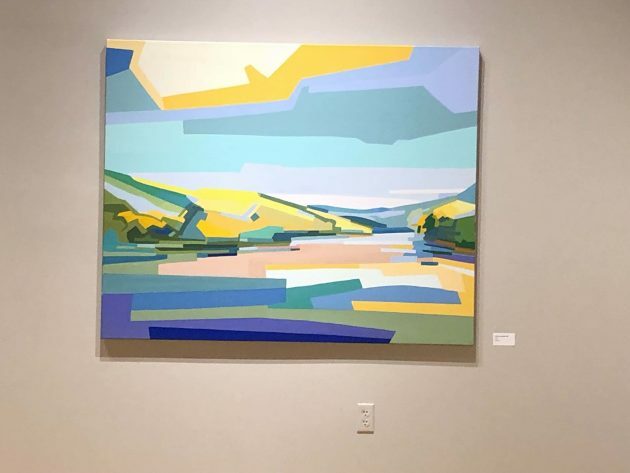 Some of Kleinhelter’s pieces exhibited at the museum consist of many different colors and shapes inspired by a river scene, while others include figures and the theme of Kleinhelter’s surroundings. He said the main inspiration of all of his pieces is nature. Kleinhelter added he first got into making art to help him get through high school. He tells the News Edge his first piece of art was sold in the summer of 1982.